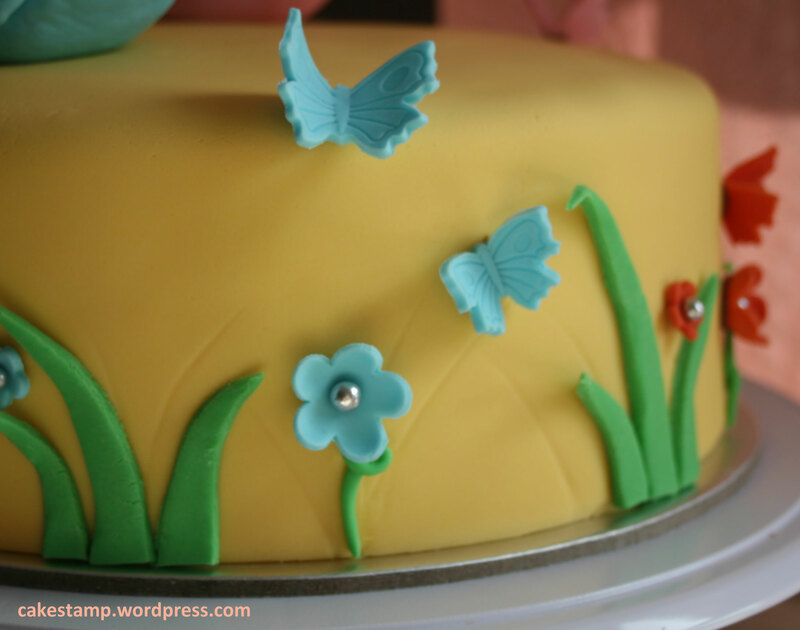 When I first learnt cake decorating, I imaged I would create a birthday cake for my own child one day. Recently my daughter turned 2 and I was so excited to make this cake for her! Ellie is very interested in animals. She can name a few different animals and imitate their sounds. Since I’ve introduced pandas to her on YouTube videos, pandas become her favorite animal. One day I will take her overseas to see the real pandas (there are no pandas in the local zoo). This is a 4 layer chocolate cake covered with fondant. 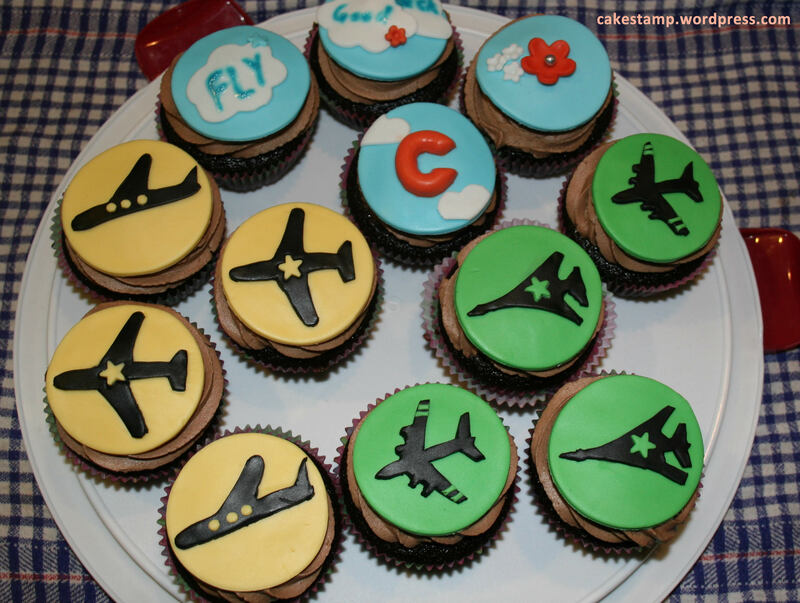 I also use fondant to make all the decorations. Ellie was amazed by the cake although she didn’t quite understand the concept of birthday yet. 🙂 The smile on her face was my best reward! Since the movie Frozen was released, Elsa became the most popular princess character in the world. I wasn’t surprised when I was asked to make a pink Frozen birthday cake. I have never had a chance to make a girly cake before. When I was asked to make a girl themed baby shower cake I was excited. I decided to make it girly yet elegant, simple yet sophisticated. Nothing will be more girly than using bows and lace on the cake, so here it is! I had lots of trouble of making the edible lace. It took me a few days to finish as it required a long drying time. Yesterday was my colleague’s last day at work. Cass is going to the flight school to pursue her dream as a pilot. Good on her! It needs a lot of encouragement to change your career path and follow your own dream. 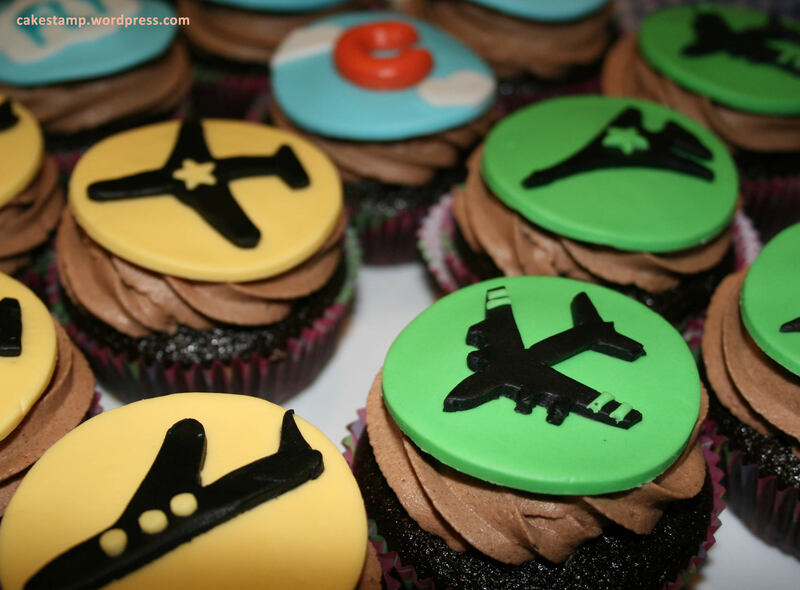 I really appreciate what she is doing so I made some airplane themed cupcakes for her farewell. My last baby shower cake left a big impression on the ladies at work. A few people have asked me to make cakes for them. Here is my 2nd baby shower cake. A lady at work ordered it for her best friend’s baby shower. 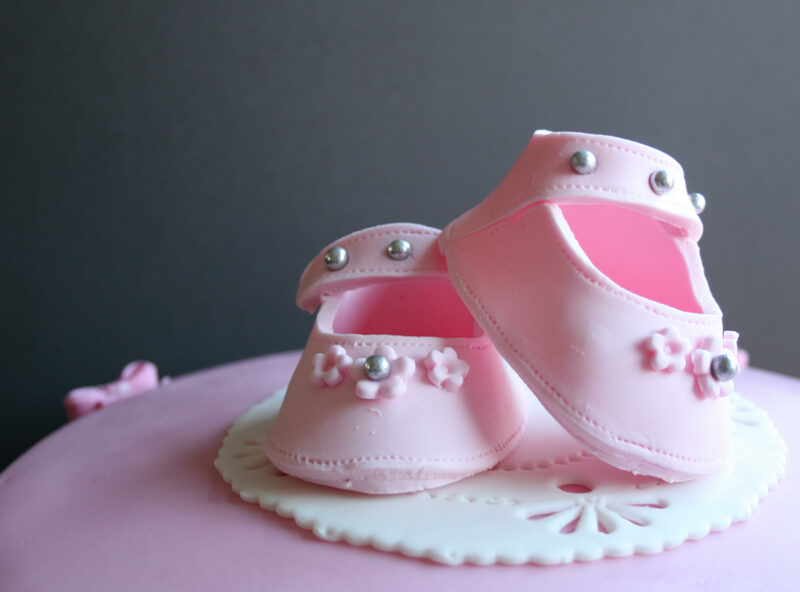 This time it is for twins whose genders are unknown yet – exciting! This cake was inspired by Scrumptious. I incorporated the traditional pink and blue and some neutral color – yellow and red. I loved the flowers and butterflies. They were easy to make and look pretty! 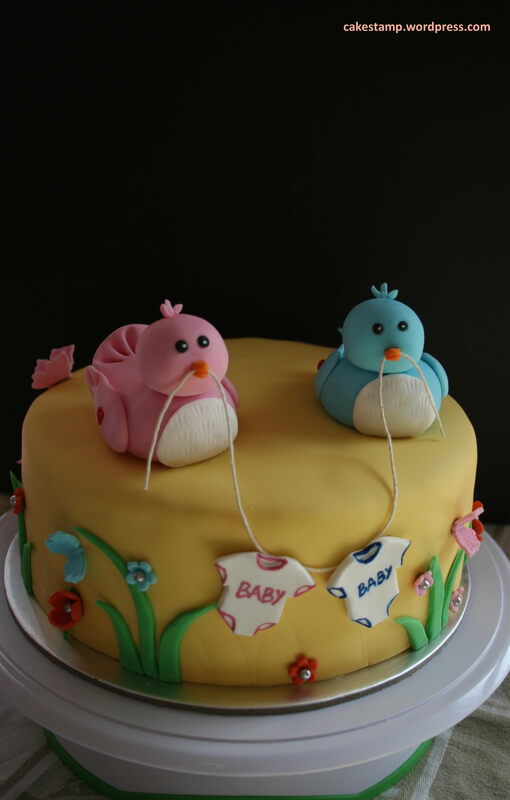 I hope the mother-to-be like the cake!